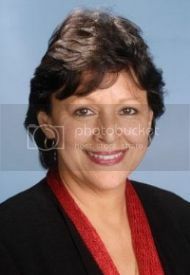 Angela Valenzuela is a professor in Educational Policy and Planning at the University of Texas and holds a courtesy appointment in the Cultural Studies in Education Program within the Department of Curriculum and Instruction. She serves as the director of the University of Texas Center for Education Policy and more recently as the new director of the National Latino Education Research Agenda Project. Her research and teaching interests are in the sociology of education, minority youth in schools, educational policy, and urban education reform. She is the author of Subtractive Schooling: U.S. Mexican Youth and the Politics of Caring and Leaving Children Behind: How “Texas- style” Accountability Fails Latino Youth. Angela served as co-editor of the Journal of Qualitative Studies in Education, as well as the Anthropology and Education Quarterly. She also founded and operates an education blog titled “Educational Equity, Politics, and Policy in Texas.” She can be reached at (valenz@austin.utexas.edu).